The days of having to maintain a duplicate disaster recovery (DR) site are over. 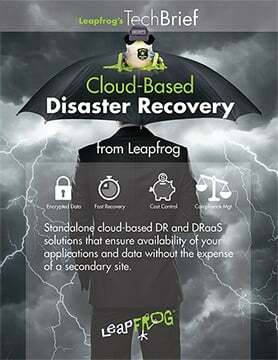 Advanced technologies make Disaster Recovery as a Service (DRaaS) is an excellent option for organizations of all sizes, including enterprises. © 2018 Leapfrog Services Inc. All rights reserved.